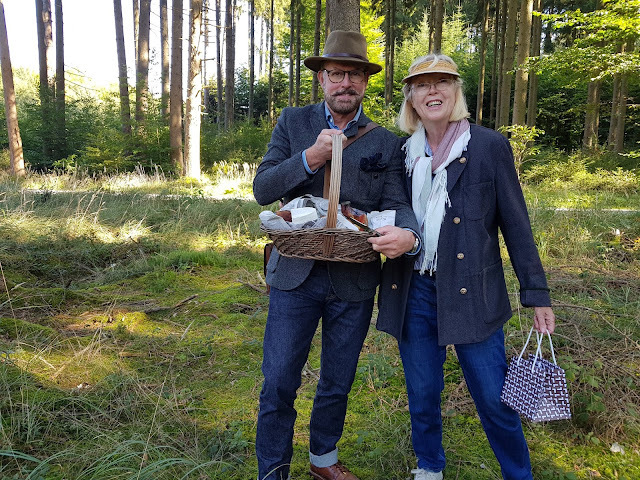 Beginning of our afternoon, it's been cool mornings, and warm afternoons here in Bavaria mostly these past weeks and I'm a bit overdressed. 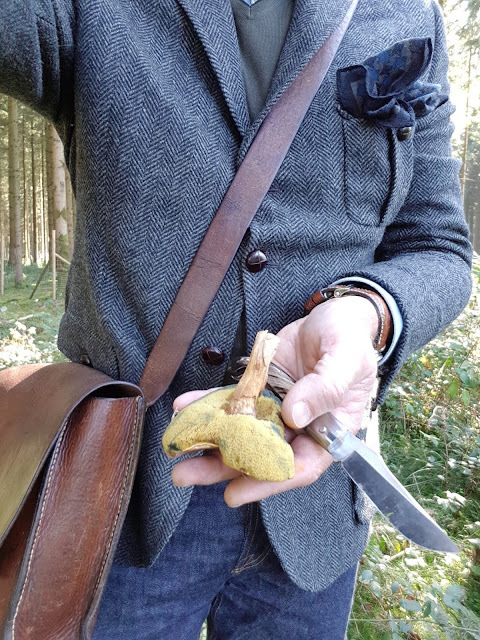 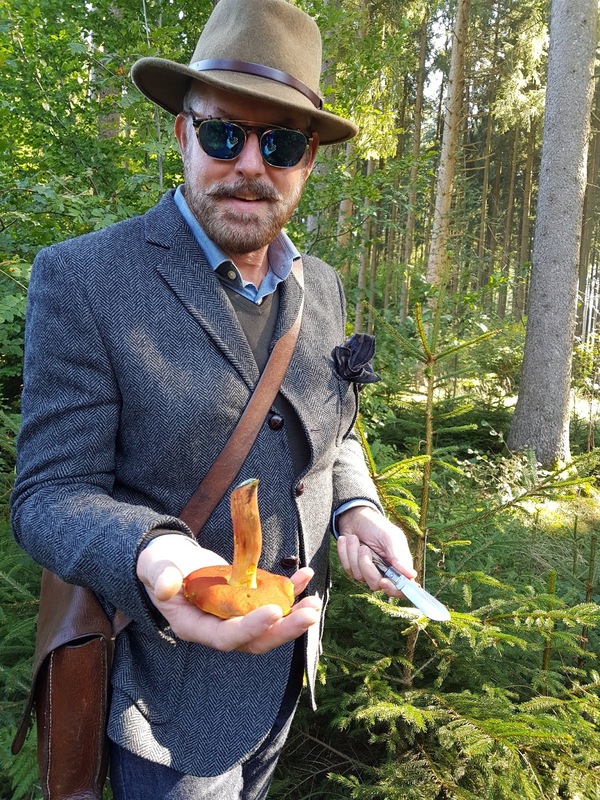 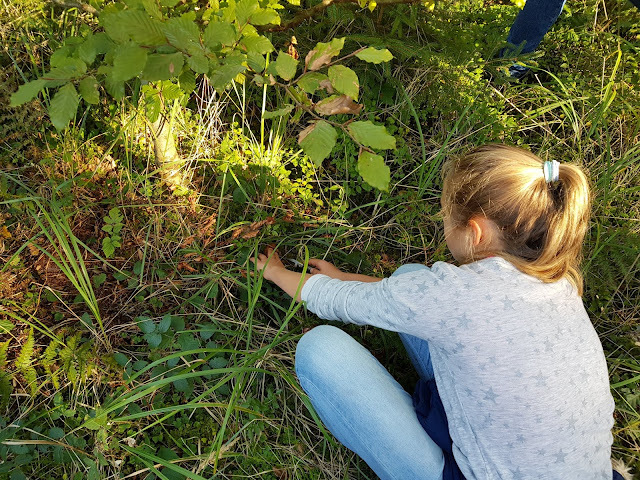 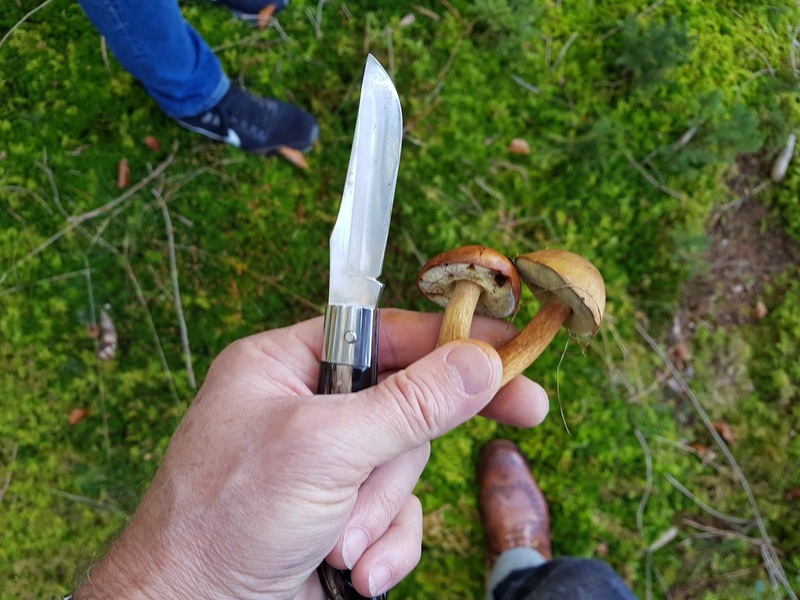 A couple of weeks ago, my family had a very fun outing hunting wild mushrooms near where we live in Bavaria. 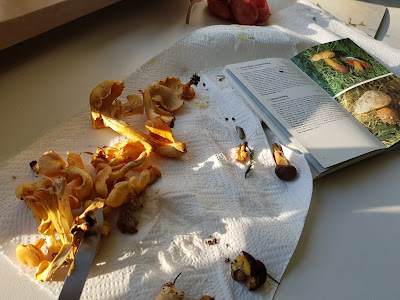 Lead by my Mother-in-law Annemarie, who has been collecting wild mushrooms for many decades, so this is knowledge my wife and I think (being mushroom lovers) is worth learning. 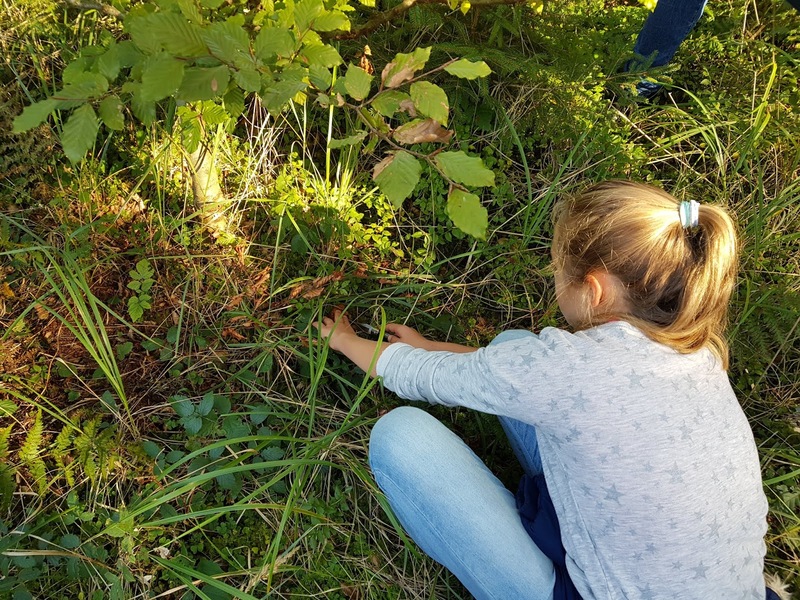 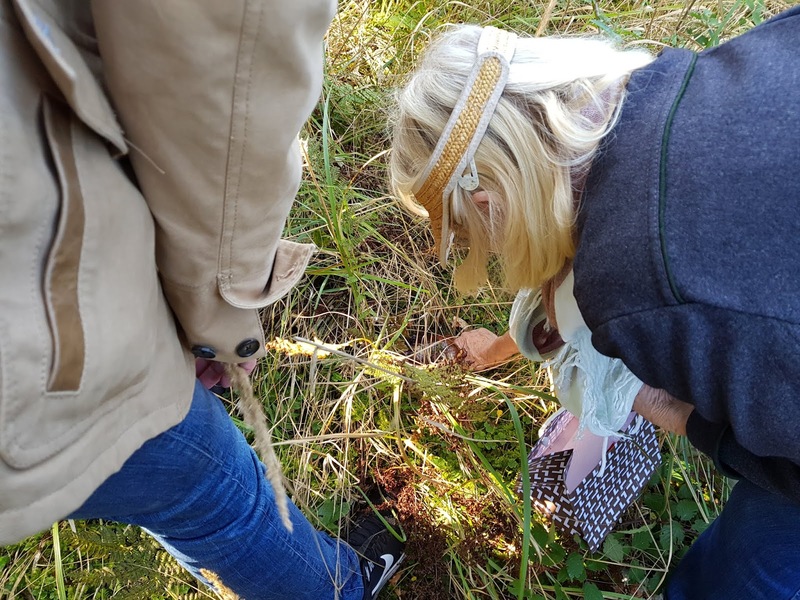 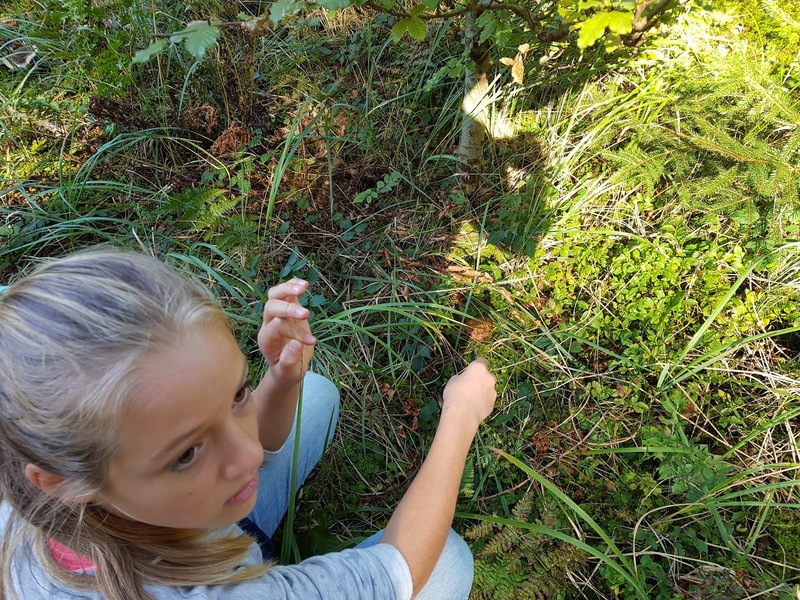 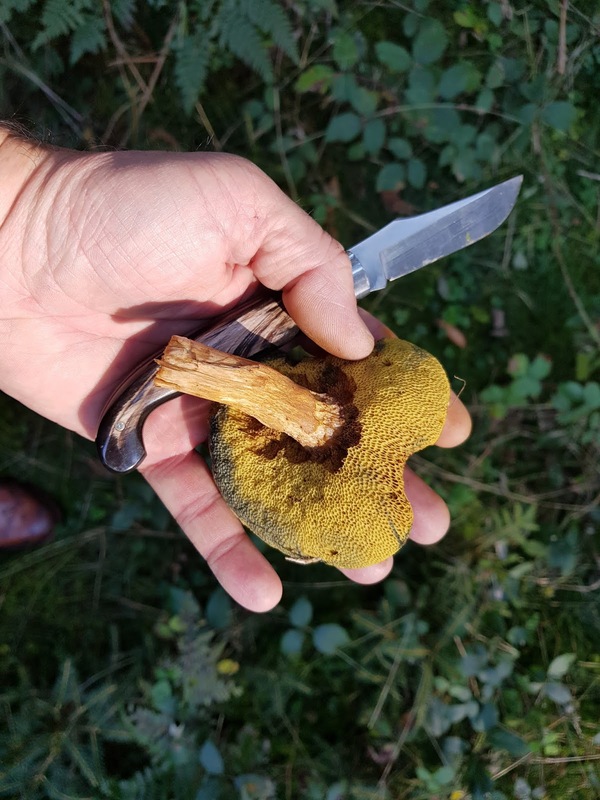 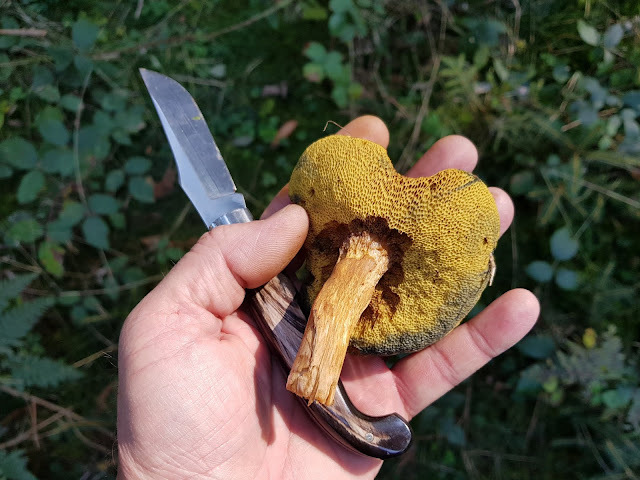 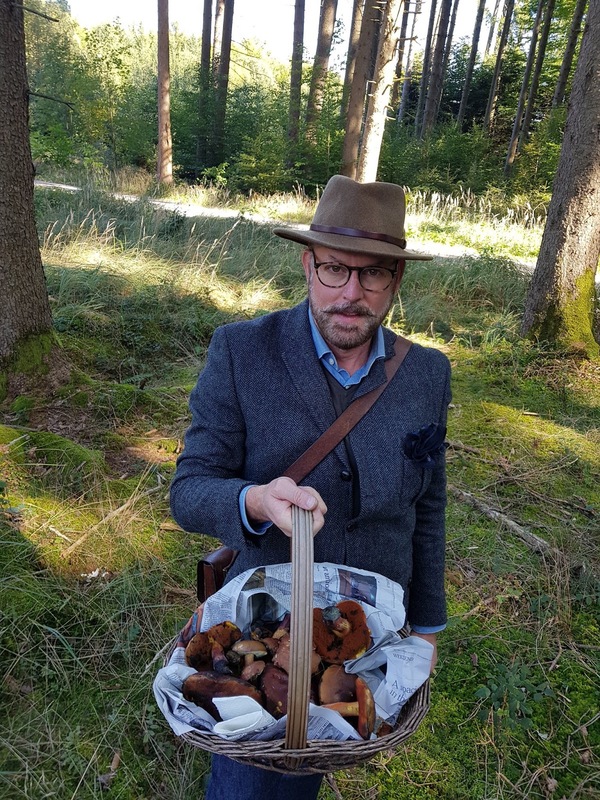 Mushroom hunting (OK, some people say collecting) is a very traditional fall time activity here in Bavaria, typically in late September or early October, the mushrooms are gathered from the mossy floors in local forests. 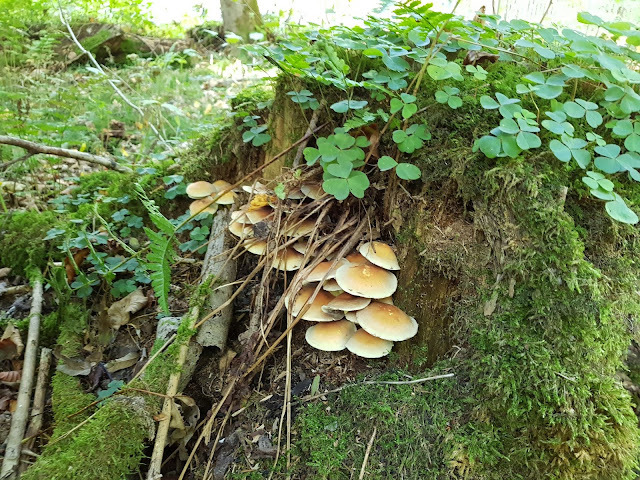 Many families have favorite spots, which are often closely held secrets, where they find their favorite varieties. 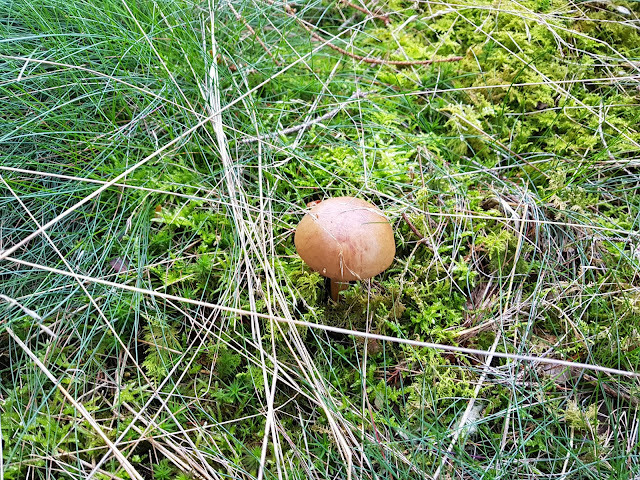 The Bavarian forests (especially on hilltops, which are cooler) are often moist and moss-covered and the perfect environment for wild mushrooms, which grow in nearly infinite varieties. 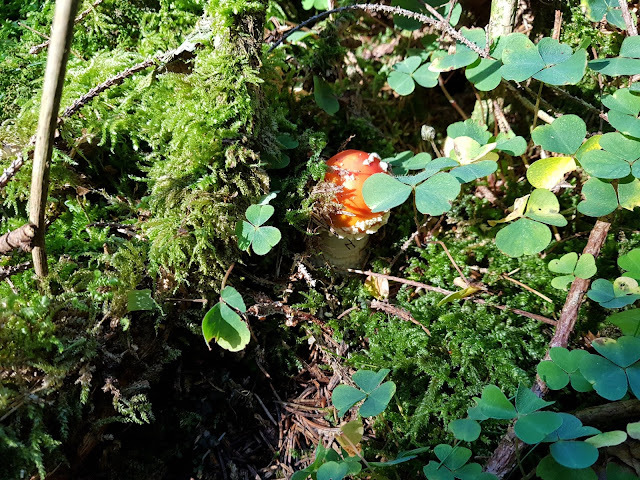 These run the full spectrum: deliciously edible, bitter but edible, inedible, poisonous and yes, even deadly poisonous, so it pays to go with someone who really knows what to look for AND who you trust with your life. Amelies is very pleased to find this beauty! 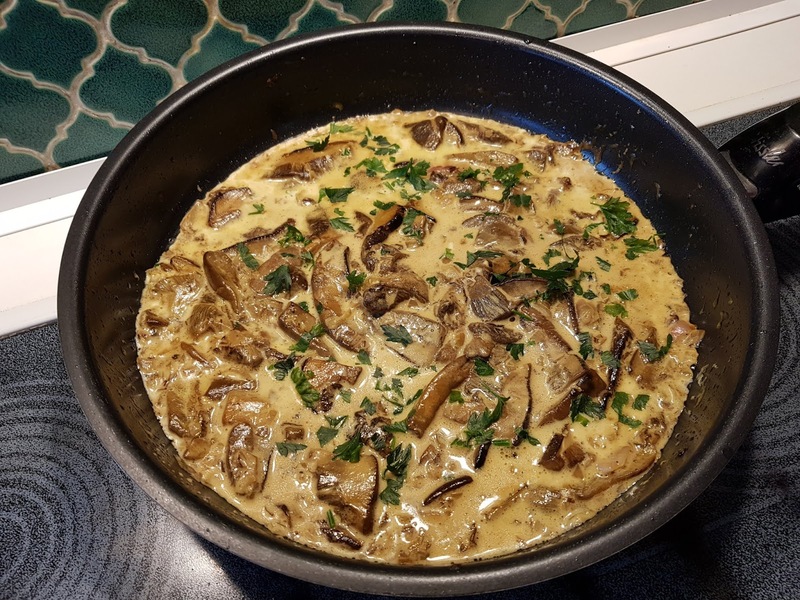 Simply cooked in a cream sauce and served over noodles is about perfect. 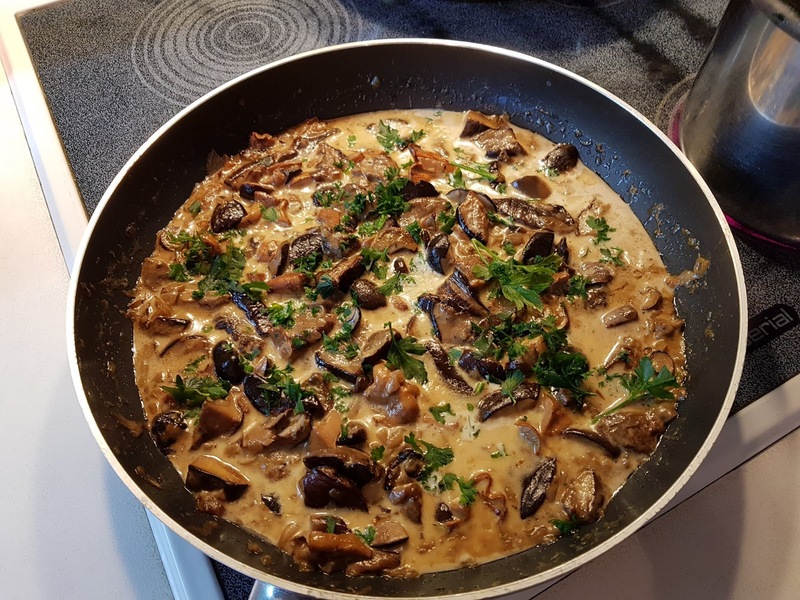 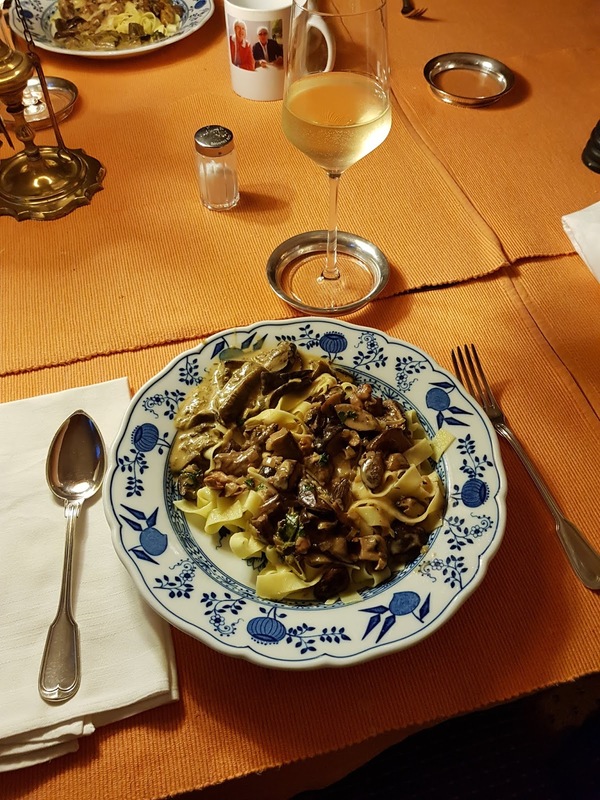 Annemarie is a classically trained cook, having attended finishing school in France, as was typical of girls of her generation, and which sadly is almost never done these days. 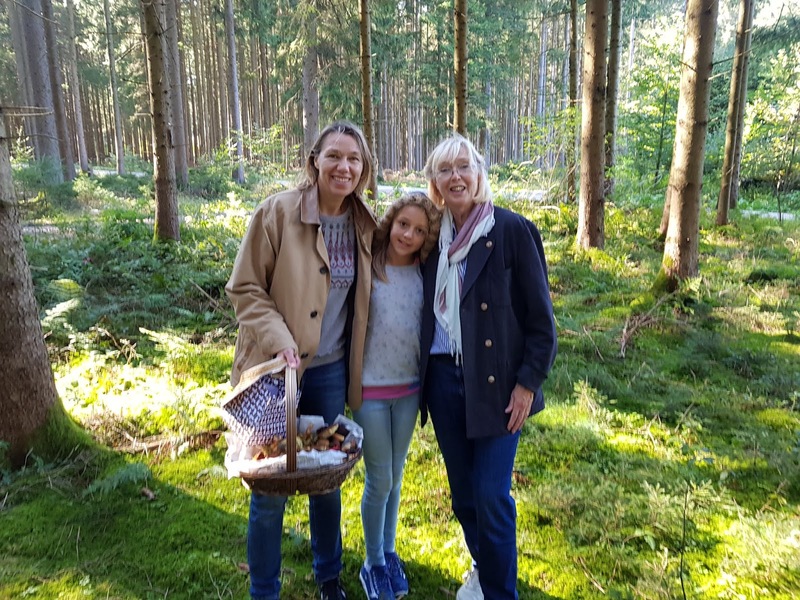 Her skills have proven a delight to three generations of the family. 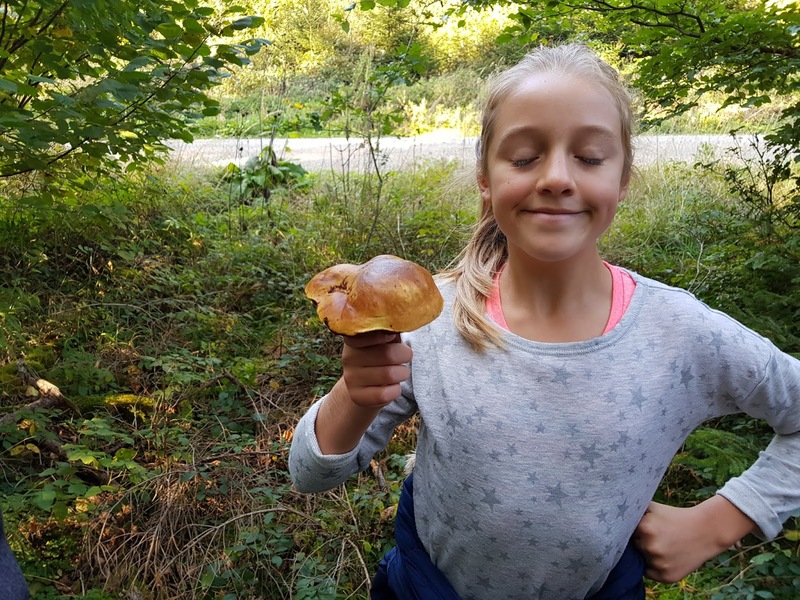 Allas Amelie at 10 years old, has not yet discovered her love of mushrooms (she would rather hunt them than eat them). 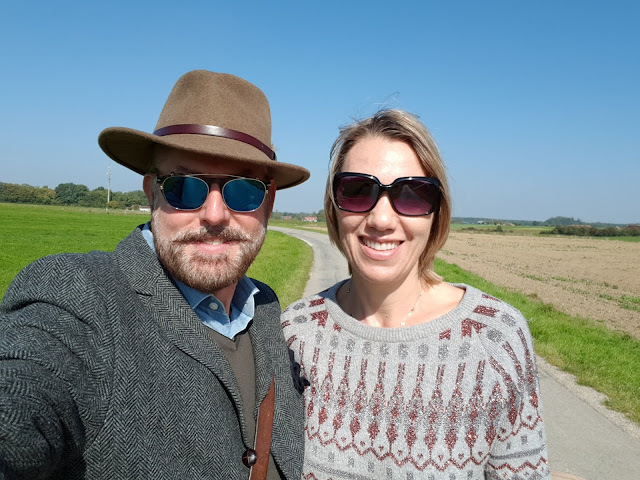 No matter - all the more for us!! If you love mushroom like I do, good God, what a treat - all the more joy in the knowledge that they had been gathers from our local forests just hours before! 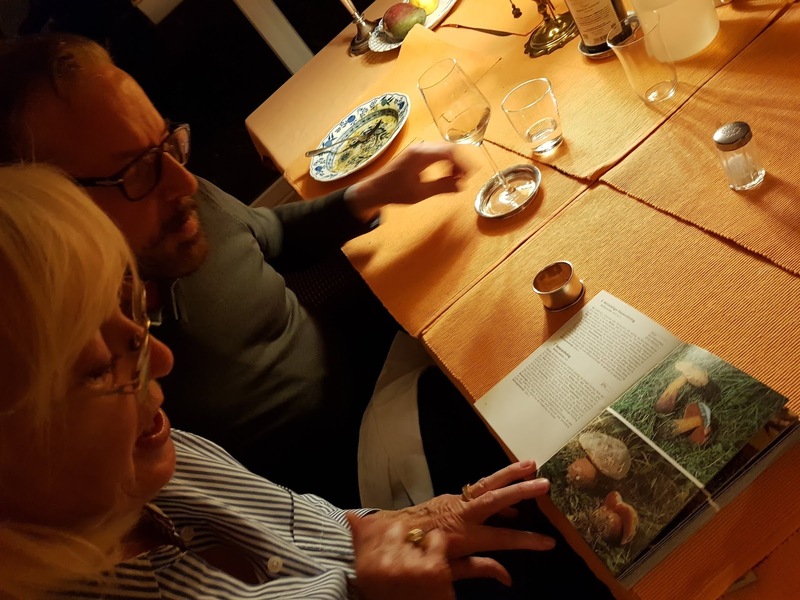 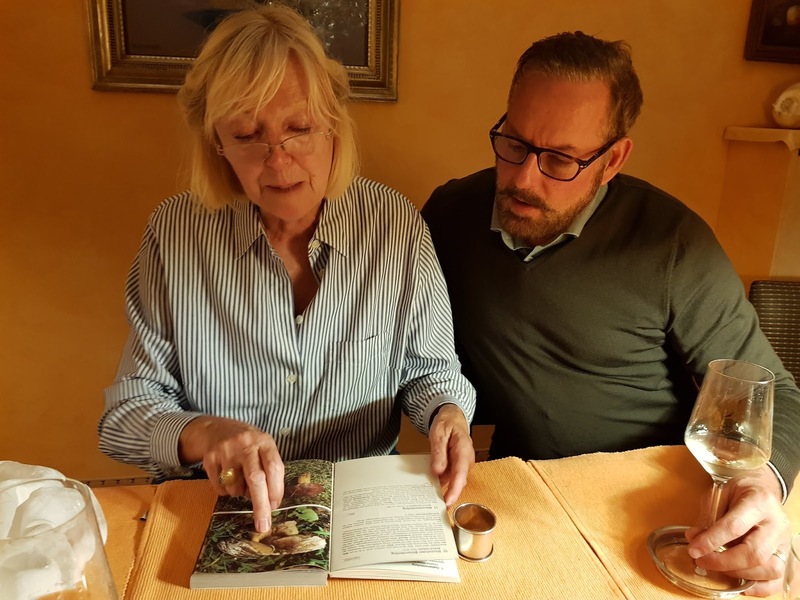 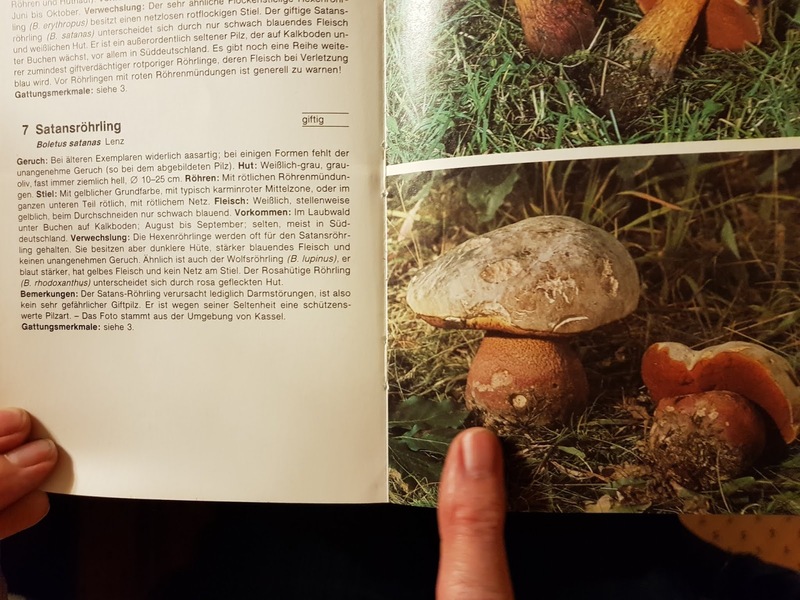 Annemarie has a book for many years, which describes in detail with photos of several hundreds of varieties of wild mushrooms which grow in Germany (this book may even be specific to Bavaria). 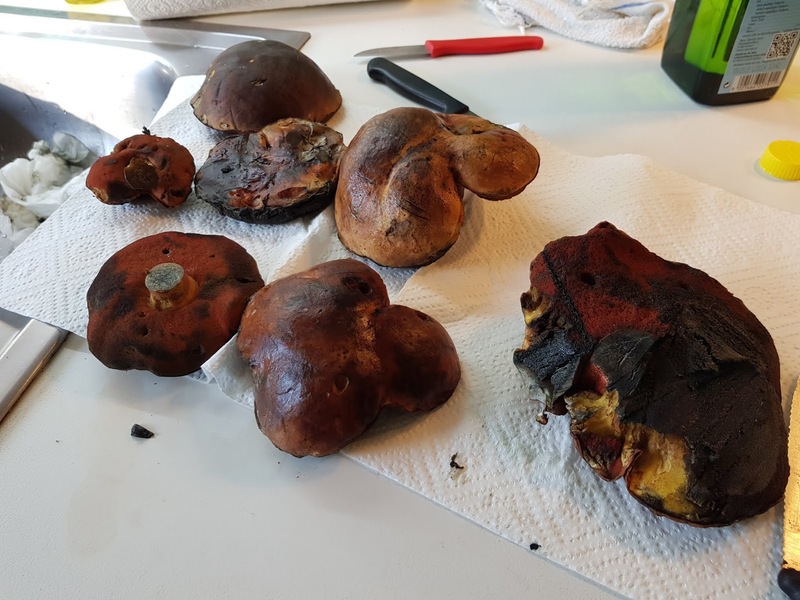 The thing that impressed me is how very similar the photos of the various mushrooms can sometimes look between varieties which are edible to the ones which are poisonous. 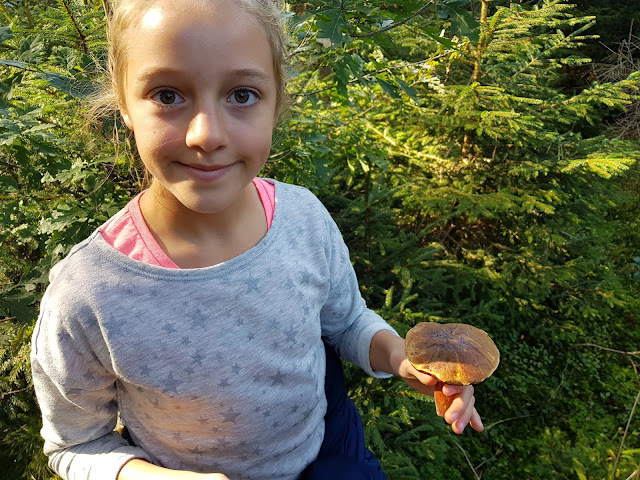 Annemarie only picks ones that are very, very distinctive looking and NOT the varieties that closely resemble poisonous ones. 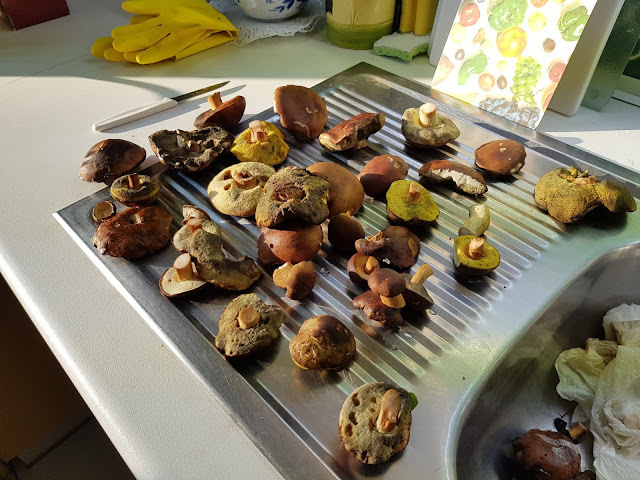 I think based upon our one-day outing, I feel pretty confident to pick two or three varieties. Although, I hope to go again next year in order to solidify my knowledge. 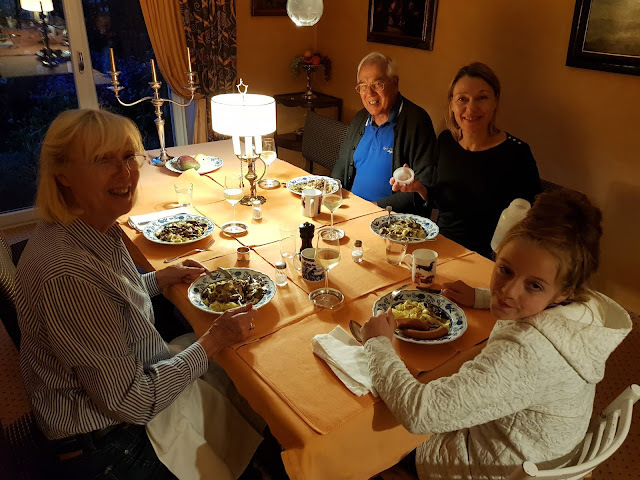 All together this was a very fun family outing, which came to a very tasty conclusion. I so thank Annemarie for her enthusiasm and for being such a love for sharing her knowledge and cooking skills. And I'm thankful for my wonderful family for this fun adventure in the Bavarian countryside.